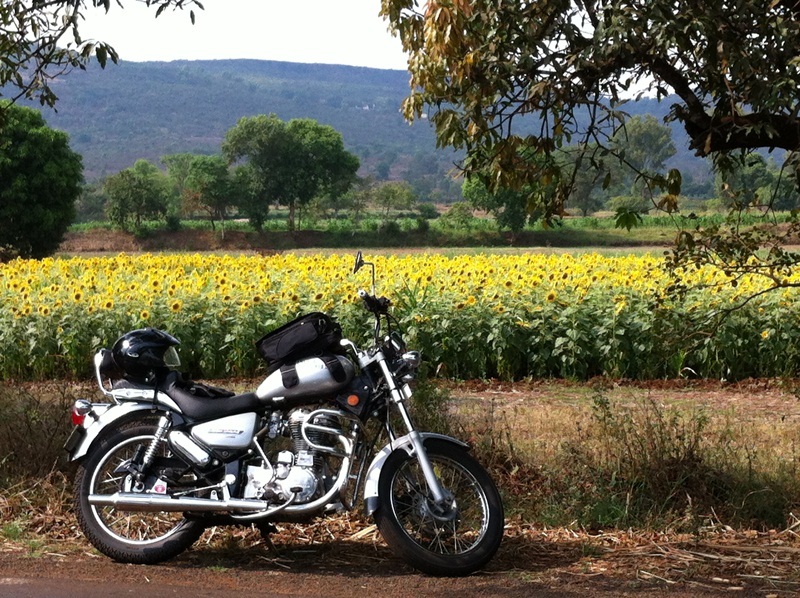 Today I went for a solo ride to Belgaum, 155 kms away from my home, located in the neighboring state of Karnataka . 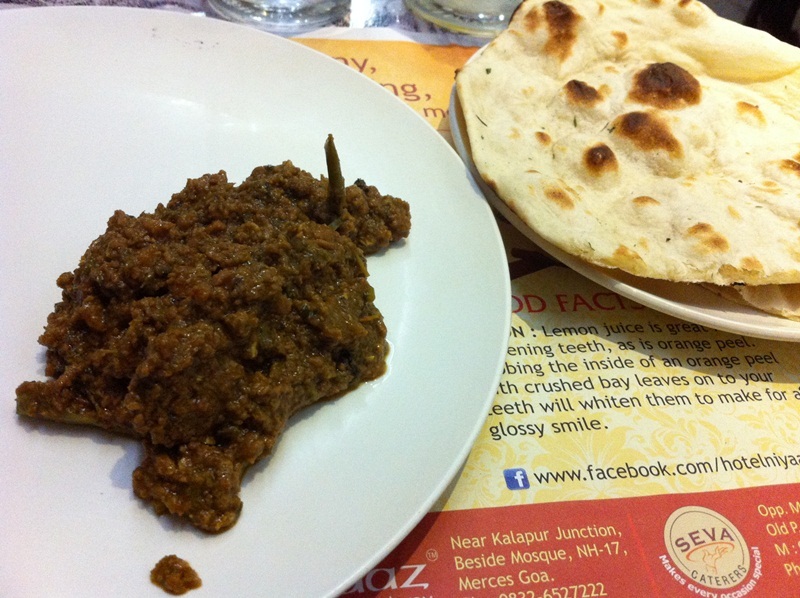 This time the excuse was the urge to have mutton kheema (mince) at a restaurant called Niyaaz. Yeah, I know. For someone who just wants to ride, the reason for doing do doesn’t necessarily have to be a sound one. 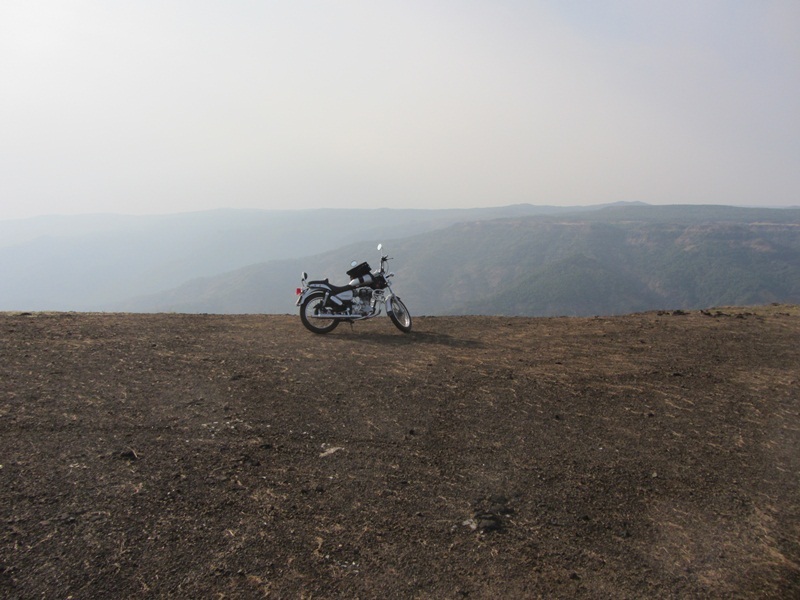 I left home at around 10 am and starting riding northwards along NH 17. After I crossed Colvale I was greeted with this unfortunate situation. 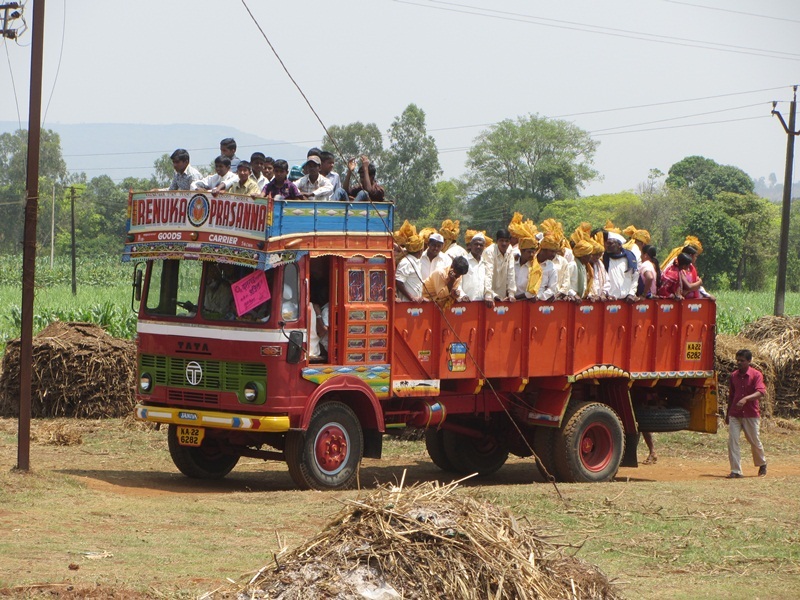 There are many ways to go to Belgaum. 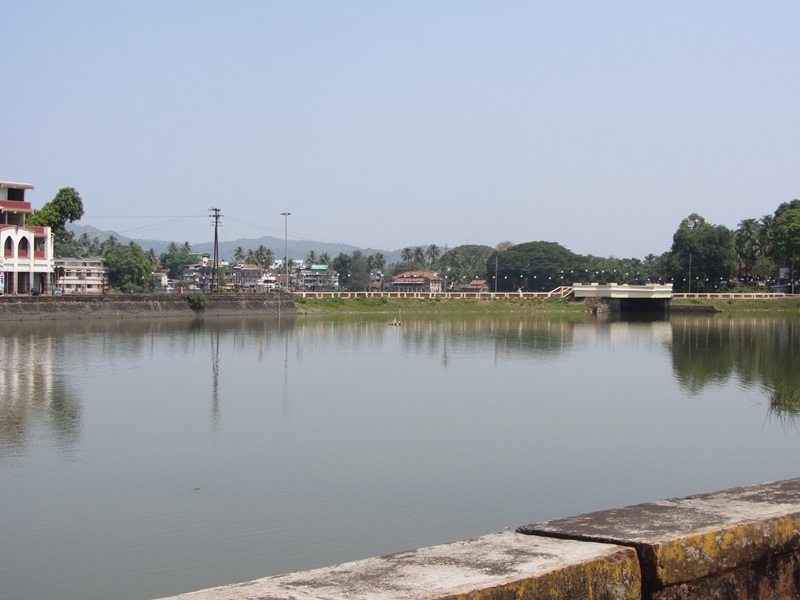 I decided to take the Amboli route and headed to Sawantwadi. 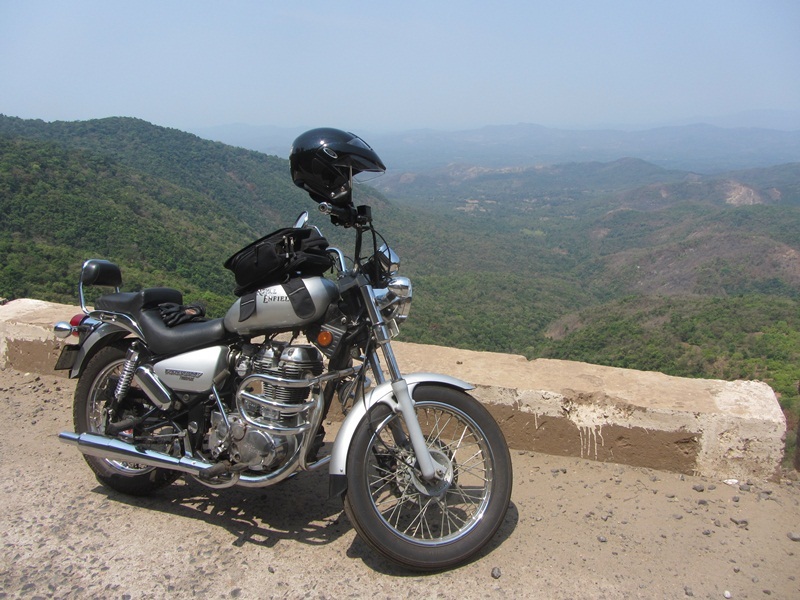 The Amboli ghat road is pretty good for a change. 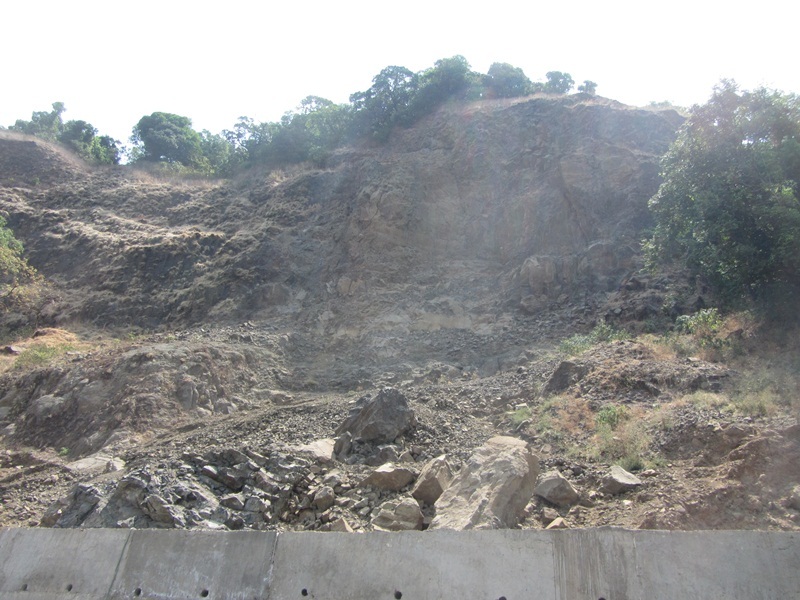 Here is the section that was washed away in the landslide last year. The highway authorities built a retaining wall but haven’t bothered to put a proper barricade on the other side of the road. If someone skids off this road section it will be hard to find what’s left of them in the valley deep down below. And judging by how much more land can slide this coming monsoon season, I’m not sure that retaining wall is going to hold up for long. 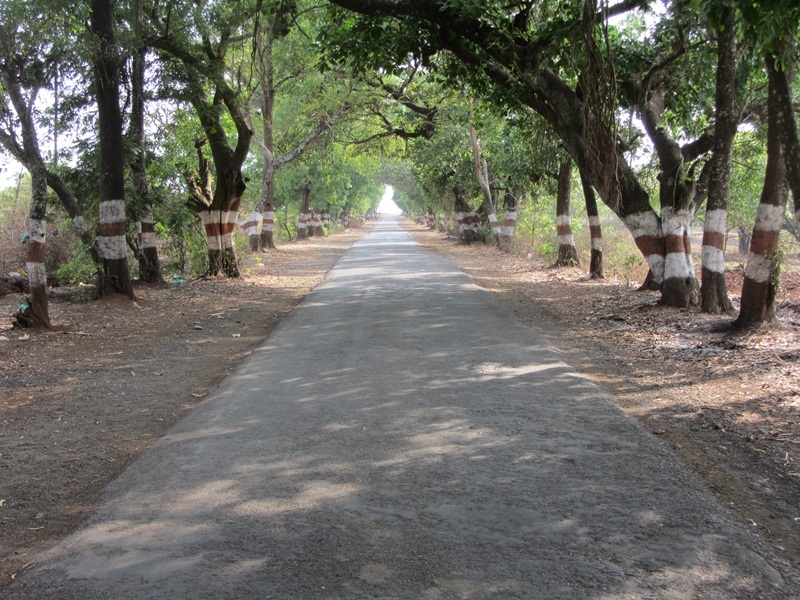 What we need is a completely new road. This band aid solution just won’t do. 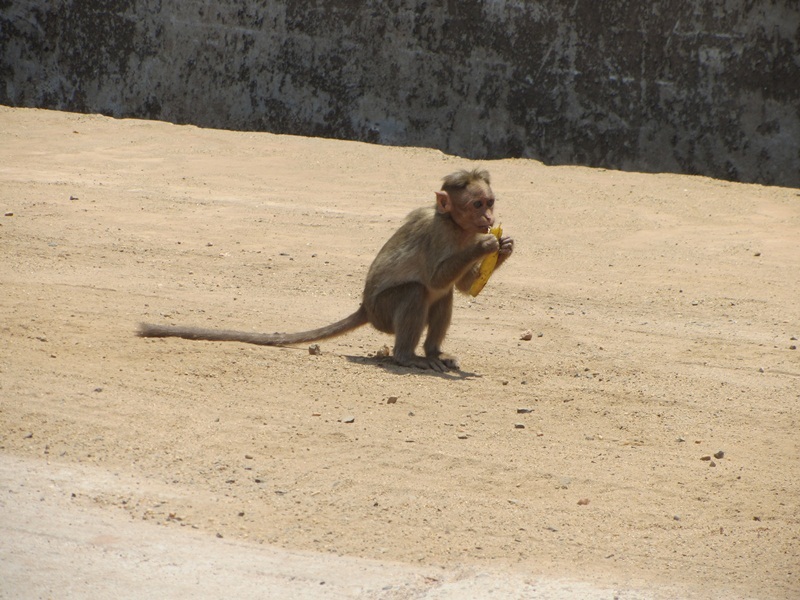 As it turns out, this stretch of road is also the place where monkeys gather together and wait for travelers to feed them bananas. I reached Belgaum at around 1:30 pm, parked outside Niyaaz and ordered the mutton kheema and naan that I rode 155 kms for. 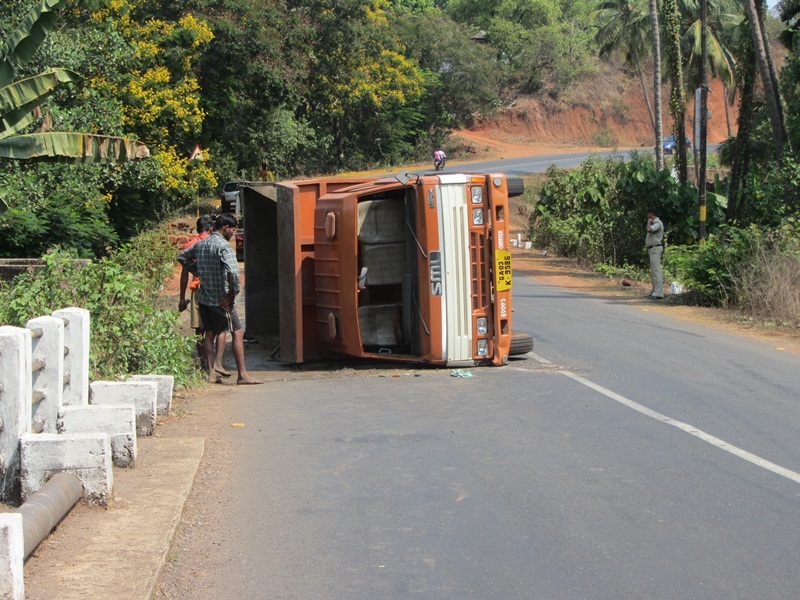 I decided to use a different route to come back home – the wretched Tillari ghat. 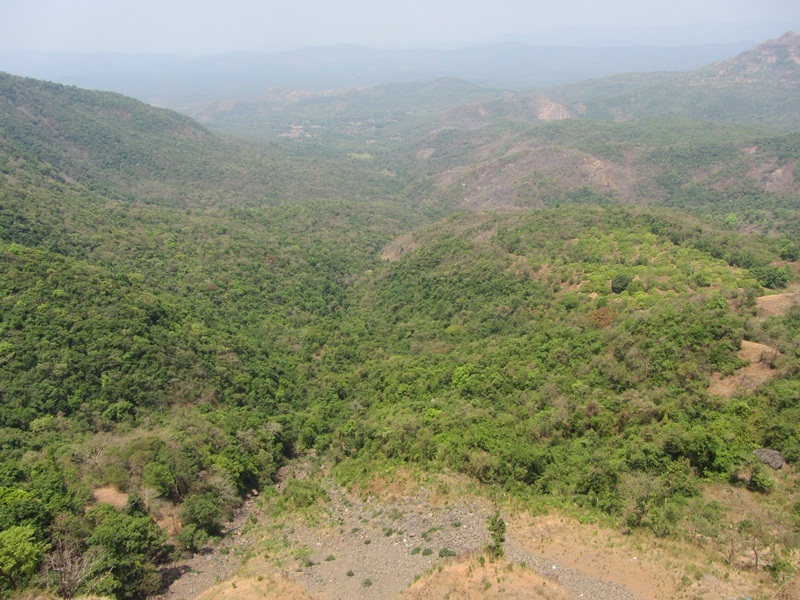 Its shorter than the Amboli route but the road is virtually non existent in some places. However in a few sections its simple beautiful. As you can see I stop quite frequently when I ride to take pictures and stretch my limbs. You can’t always do that when riding in a group, which is probably why I prefer riding solo. However, company always adds to the fun of riding. 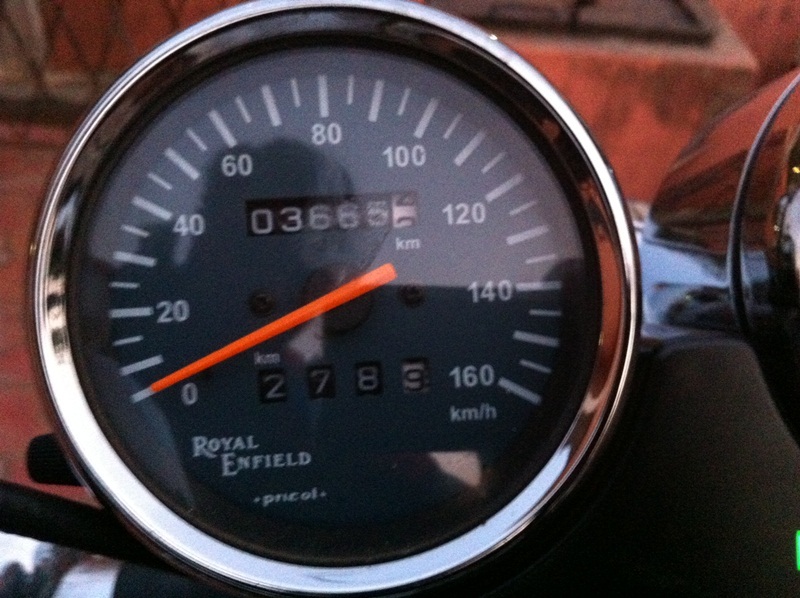 I reached home at 7 pm and the odometer read 278 kms. I’m sipping on a chilled beer as I type this. Life is good.